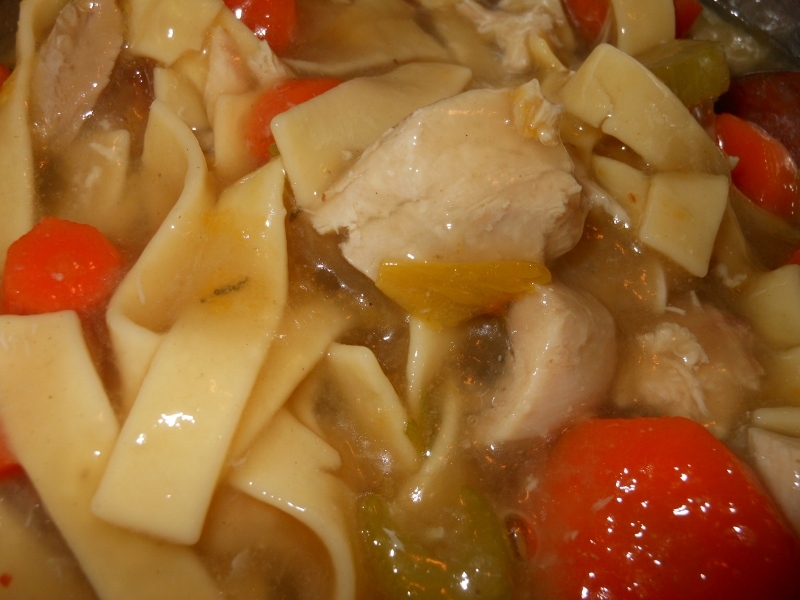 I decided to make a simple chicken and noodle soup today. I like mine hearty without an over abundance of broth and best of all I like it with a homemade chicken broth which I just happened to have made yesterday. I joined weight watchers so I am obsessing a little over what I eat and how many points it is. It’s quite a change for me but I wanted to get a bit healthier without sacrificing my favorite foods so here is my first recipe on the new diet. I calculated it as 4 points a cup; I ate two cups for lunch. I think my point calculation is pretty accurate; I wasn’t sure on the broth / stock so I went with the calculations of value for the name brand canned type. Heat broth in large pot. 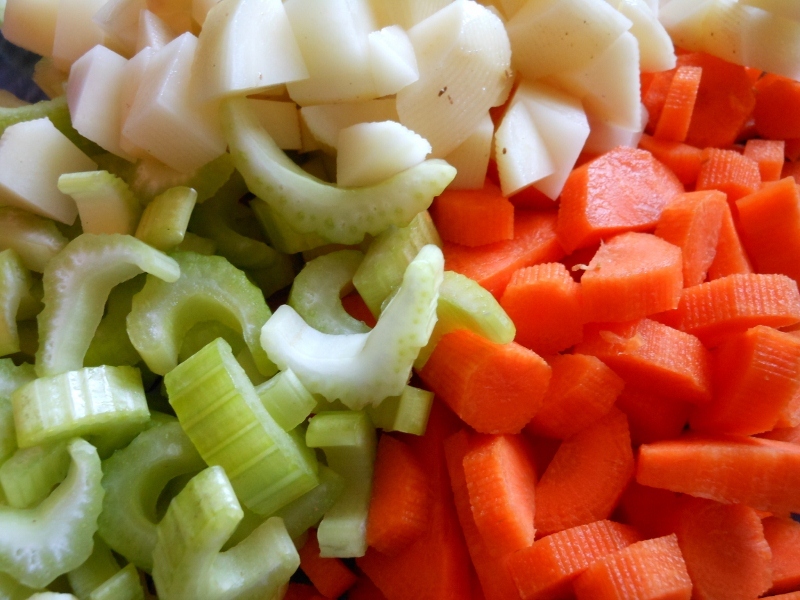 Add carrots, celery, and noodles. Cooke for about 15 minutes or until noodles and veggies are tender. Add diced cooked chicken and a little salt and pepper; heat though. I ended up with about 10 cups of soup once finished. The leftovers thickened up so it’s almost a chicken and noodle entree now so adjust the broth amount if you like it a bit more soupy. I was dying to make something with some of the leftover lamb from the leg roast. I first cooked down the bone to make a fantastic broth. 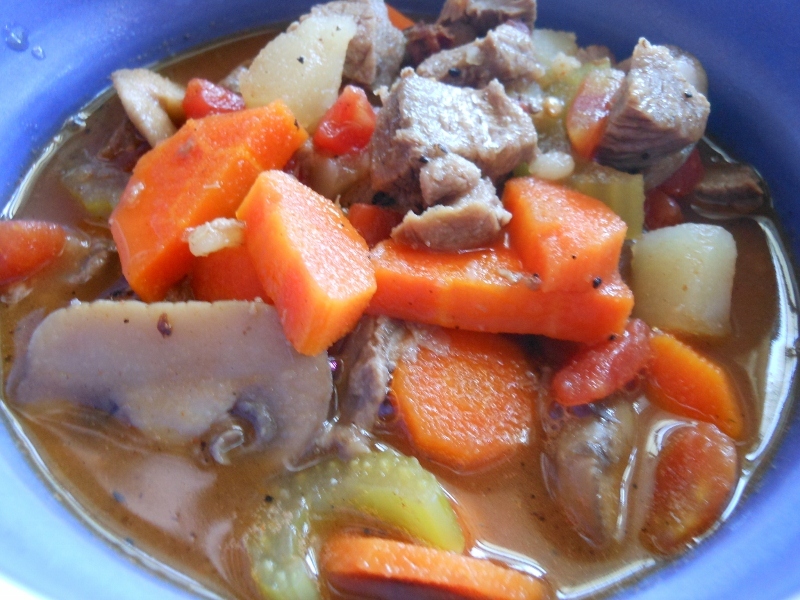 I love beef barley soup and knew that lamb would be at least as fantastic. Substitute beef if desired and any kind of broth or stock will work. It could have used a bit more barley perhaps but really quite delicious. 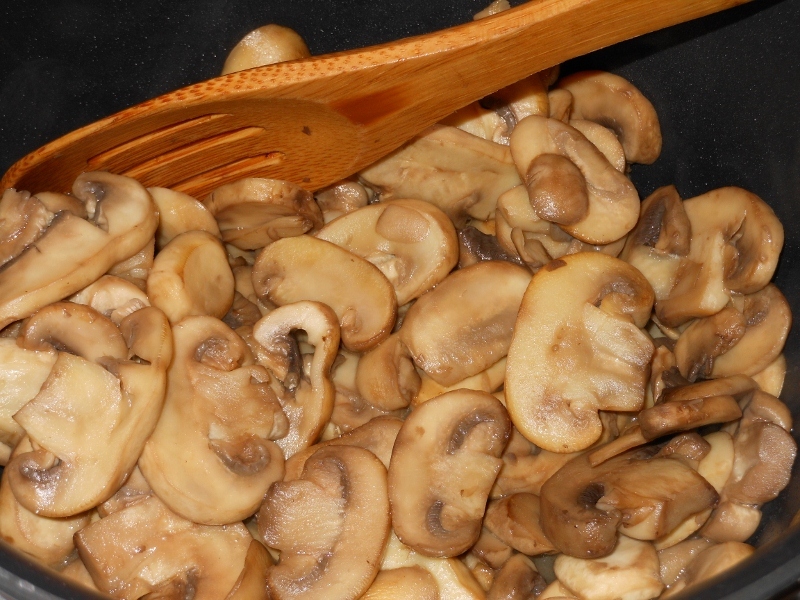 Saute mushrooms for about 10 minutes in butter; cook to desired tenderness. Add broth and bring to simmer. 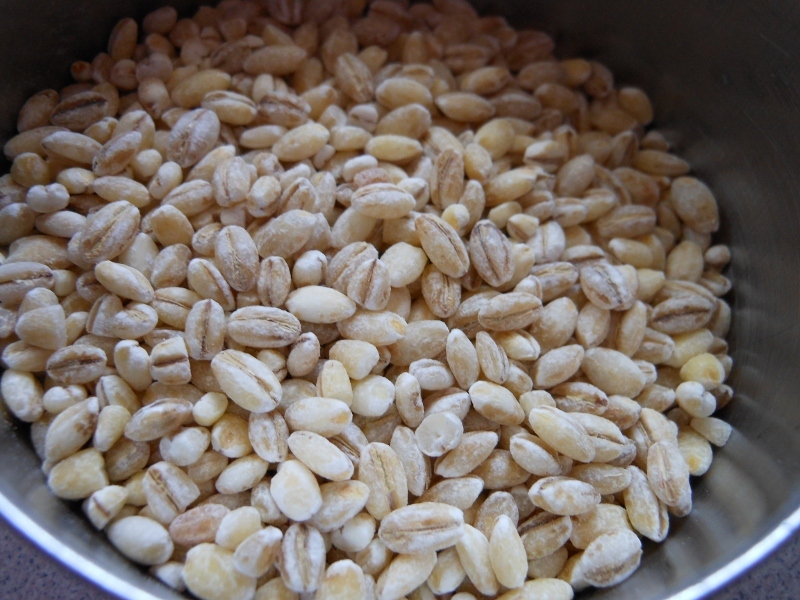 Stir in barley and cook for about 30 minutes. Add carrots, celery and potatoes bring back to boil and reduce heat; simmer another 10 – 15 minutes or until vegetables and barley are tender. Stir in tomatoes, meat, and desired seasonings. Heat through and serve.